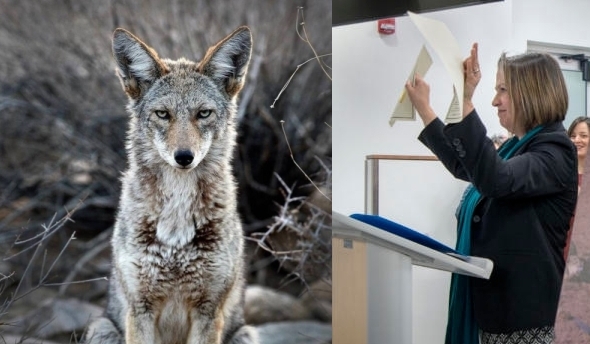 Just over a week after being sworn into office, state Land Commissioner Stephanie Garcia Richard has taken aim at coyote-killing contests on 9 million acres of New Mexico state trust land. Garcia Richard, a Democrat, showed pictures of dumped coyote carcasses during the news conference and described the killing contests as a barbaric “blood sport.” She also said the executive order was not aimed at New Mexico hunters or at ranchers who lease state trust land and kill predators that threaten their livestock. “That’s not what today is about,” she said. However, ranchers and other critics have spoken against similar proposals in the past, calling the derbies a legitimate tool to control coyote populations. “We are disappointed that a tool for protecting wildlife and livestock has been removed from 9 million acres in New Mexico,” said Caren Cowan, executive director of the New Mexico Cattle Growers’ Association. Proposals to ban coyote-killing contests in New Mexico have been debated at the state Capitol in recent years but have failed to clear both chambers of the Legislature. A new attempt has been pre-filed for the coming 60-day session by Sens. Mark Moores, R-Albuquerque, and Jeff Steinborn, D-Las Cruces. Wildlife advocates say 20 to 30 coyote-killing derbies are typically organized across New Mexico every year. Such contests often award prize money for the most coyotes killed or the biggest coyote killed. Participants use calling devices to lure coyotes into range. Garcia Richard, whose office does not have authority over federal land in New Mexico, indicated Thursday that a fee system will likely be implemented to penalize those found to have violated the ban, which could also apply to other animal species that are not regulated by the state Department of Game and Fish. Jessica Johnson of Animal Protection Voters, a group that has advocated for banning coyote-killing contests statewide, called Garcia Richard’s order “monumental” and the fulfillment of a campaign pledge. 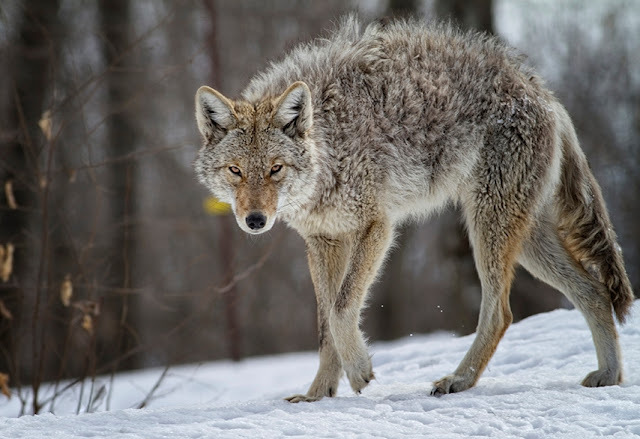 Sierra Club Rio Grande Chapter Wildlife Chair Mary Katherine Ray of Winston also issued a statement, saying the organized killing contests can actually lead to more young coyotes trying to prey on livestock. “These organized wildlife massacres do not meet any modern principle of scientific wildlife management,” Ray said. Responses to "New Mexico Land Commissioner signed an executive order to prohibit organized killing contest"
Thank you for giving me an opportunity to thank you Commissioner Richard. I said on original post we ALL should thank you for stopping a stupid blood support that has no basis on provable results and is probably a money-raiser for the proponents of the derbies. It also teaches our witnessing children to be heartless and cruel to helpless animals.